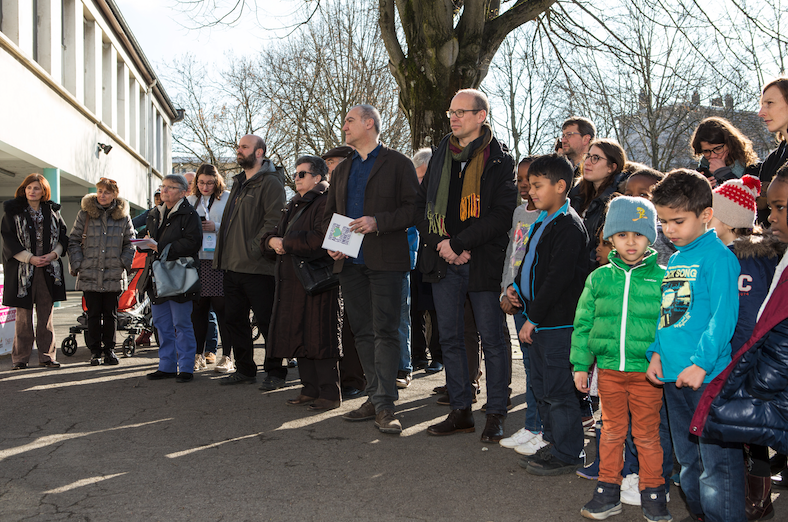 The City-zen Days opened under a solar sign on Wednesday, January 31, 2018 with the inauguration of the newly built photovoltaic roof at the Jean Racine school in Grenoble. All the actors who contributed to its installation were present, as well as the pupils and their teachers. 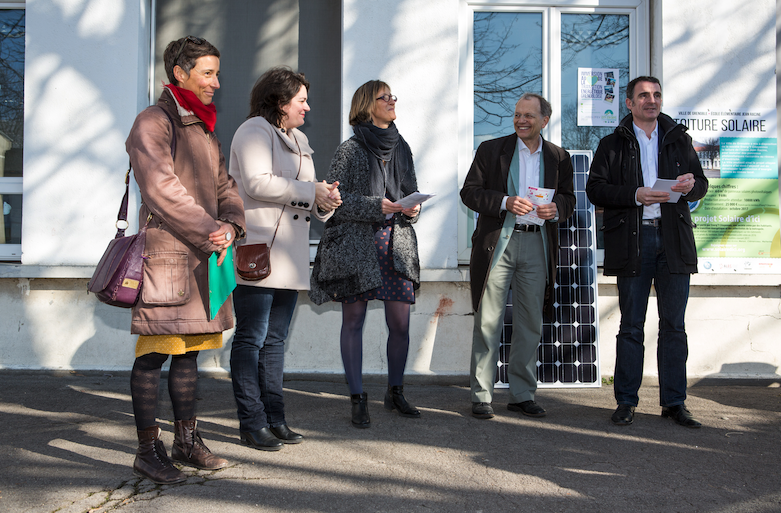 Energ’y Citoyennes is the initiator of these solar panels, a company created by residents, actors in the energy transition and local authorities in the urban area, including the City of Grenoble. In 2016, it launched the “Solar from here” project, which aims to install 100 solar roofs on public and private buildings in the metropolitan area. To this end, in October 2017, the City of Grenoble made available the roof of the Jean Racine school and its technical services to help carry out this project. This deployment of solar energy production was made possible thanks to the participation and cooperation of the local energy and climate agency, the Metropolitan Area of Grenoble and the City of Grenoble. At the inauguration, their representatives noted that this approach was part of a wider objective of promoting energy efficiency, which involves raising awareness and educating people about the challenges of environmental transition from a very early age. This is also the objective of the “Positive Energy Schools” challenge, which is managed by the Metropolitan Area and implemented by the local energy and climate agency: the precise measurement of consumption at the Anthoard school in Grenoble was also carried out as part of the European City-zen project. The “Solar from here” project does not stop there. It will be repeated for the Grenoble schools of Menon, Clémenceau and Malherbe. All these virtuous actions contribute to the implementation of the “Air Energy Climate 2015-2020 Action Plan” that the City of Grenoble has adopted. This proactive policy was rewarded in 2016 by the European label Cit’ergie.